Mr Massimo Righi, owner of Whisky Antique and whose brands include Silver Seal and the Sestante Collection, was in town and where would Max go for a drink but the Auld Alliance, and what better occasion is there to taste some Silver Seals? Whiskyrific thanks the good people at Auld Alliance – Emmanuel, Arun, and Max himself for an exclusive invitation to sample some excellent Silver Seals on the house. Matthew, Glenfiddich brand ambassador, as well, for bringing Glenfiddich cask samples all the way back from Scotland. Glen Keith 40yo Silver Seal 1970 /2011 – deceptively light bodied, but bursting with fruit and cinnamon rolls on the tongue. Macallan 22yo Silver Seal 1988 / 2010 – Powerful sherry, hugely oiled and nutty. A sweet bruiser. Clynelish 28yo Silver Seal 1982/ 2010 – deliciously chewy and waxy, great balance. Ardbeg 18yo Silver Seal 1991 / 2009 – Much closer to old Ardbeg, softer than today’s NAS, but much more refined and coastal. Dailuaine 37yo Silver Seal 1976 / 2013 – Stunning. Everything – oranges, spices, warmth, wood, nose, all in good measure and balanced. Miltonduff 24yo Silver Seal 1989 / 2013 – The gentleman of the bunch, reserved but elegant and smooth, fruity surprise too. Dunyvaig 23yo Silver Seal – Aha! One whose parentage has been disavowed. But if you know Islay, you know what Dunyvaig is closest to. I was absolutely spoiled for choice. Silver Seal is know for its high quality bottlings, but that fact becomes emphatically clear when trying to compare uncomparable examples of whisky – the power of cask strength first fill sherry Macallan versus the elegance and poise of what might have been the last of triple distilled Glen Keith, and one concludes it is simply the joy of discovering high quality whisky that links them, all this thanks to the man whose nose decides what gets put into his Silver Seal range. In Singapore, Silver Seal is only available at the Auld Alliance. 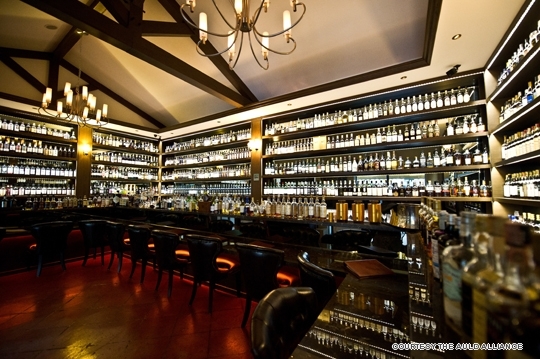 In fact, if you have taken a liking to whisky as I have, you need to pay them a visit. Merely describing them as purveyors of fine whisky does not do them justice, Emmanuel has spent his career sourcing for the best of old, rare and historical whisky and has assembled such a collection under one roof, I kid you not, it is a veritable whisky drinkers paradise. I will be old before I finish sampling everything I want to sample on their stock list. Note that this photo is of their old CHIJMES premises, AA has moved over to The Rendezvous Hotel. Have plans to finally make it to the Auld Alliance this coming week! 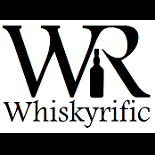 This entry was posted on April 30, 2014 by Whiskyrific in Auld Alliance and tagged Auld Alliance.